As the days heat up and we begin to fill our garden with fresh produce and herbs, we look to Chef Kyle for delicious inspiration. Known for his excellence with vegetarian cuisine, Chef Kyle Vermeulen has a way with greens – even for those picky eaters! These balsamic roasted brussels sprouts are hard not to love! They bring a delicious spring flavor with a hint of Kyle’s signature Spice Mix. 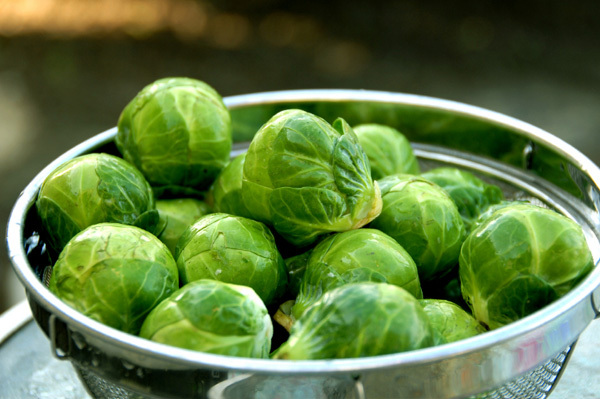 Place trimmed brussels sprouts in a bowl and add remaining ingredients; mix well. Interested in more recipes and delicious ideas? Want to order your own bottle of Chef Kyle’s signature Spice Mix? Call us today at 301.477.3515 of email us at inquiry@cateringbyseasons.com.